At Cranford Dental we NEARLY got caught in a scam. An emergency call from the “sheriff’s office” caused stress for the office and our family. We hope that this post will help others avoid this scam. Dr. Cranford slipped out for lunch on Tuesday, March 27. He did not take his phone and did not tell us that he was going across the street to Food Lion. The office took a call from “the sheriff’s office.” “There was an emergency” and “they needed to reach Dr. Cranford right away.” The caller had a southern voice and sounded like someone from around here. Dr. Robinson began a frantic search for her partner (Dad). First call was to Mom at home. She learned that Mom was alive and that Mom had not heard of a family emergency. Next call was to sister Margaret who finally left her meeting in Baltimore to assure Elizabeth that all was good with her. Next Elizabeth called the dentists who Dr. Cranford often eats with for Tuesday lunch. No answer on their cell phones. Later she learned that one of these dentists (initials P.C.) had nearly been taken in by the same caller at 12 noon. Dr. Cranford came back to a frantic office when he returned with his lunch. He immediately called the number “the sheriff’s office” had left for him. A nice man answered the call. He introduced himself as Captain John Hicks. He said he had a very urgent matter to discuss with Dr. Cranford. At this point Bill imagined a terrible accident involving a family member. Captain Hicks said that he had a warrant for Dr. Cranford’s arrest for failing to appear for jury duty. He planned to send deputies out to apprehend him. Bill was relieved to learn that there was no family emergency. He knew that he could work out a misunderstanding about jury duty. The “sheriff’s office” offered to help get Dr. Cranford out of trouble. He explained the Surety Bond Process and the ability to assure your own bail. All problems solved—if Dr. Cranford would make an electronic transfer funds to the sheriff’s office. At this point Dr. Cranford had some questions for Captain John Hicks. Which William Cranford was called to jury duty? What was date of birth? He knows the judges in our county. Who is Judge Sexton? Why wire money when he can ride it over to York? The “official” had an answer for the questions; however, the answers were vague and did not ring true. 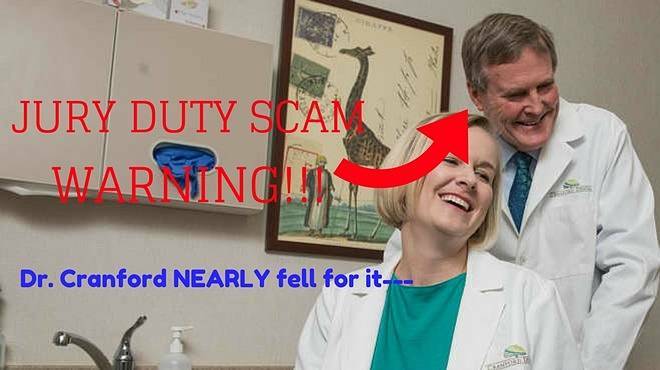 Dr. Cranford realized that this call was fraudulent. At this point (12 minutes later) Captain Hicks hung up the phone. Please help spread the word about this well crafted scam. I knew not to answer calls from Microsoft or the IRS or someone offering to help my children or grandchildren out of trouble. No one told me to refuse calls from the local sheriff’s office. Ignore any caller from the Sheriff’s office. This office (and other public offices in York County) rarely makes calls to homes or offices. They never call about jury duty summons. Be aware of phone numbers. This guy’s number was from near Batesburg. It was close to our Rock Hill numbers. Disregard familiar names or facts. Captain John Hicks is over the York County Detention Center. The warrants had official numbers. But this caller was a scammer. Never send money to an unknown person for any reason. Do not waste your time talking on the phone if you are suspicious. Hang up right away. Stand firm no matter how much official data the caller has on you. If you think the caller could be valid ask for his number and ask someone you trust to call him back to verify. We did not lose money this time; however, we lost a good bit of time. In addition, we experienced great stress as we attempted to figure out what Dr. Cranford’s urgent emergency could be. I heard on morning radio that five other individuals had alerted officials about similar calls. I can understand how this scam could work due to our call to duty to serve on juries. Beware of any communication that is not written that involves serving on a jury. Make other employees in your office aware of this scam. It appears that they were going down a list of dental offices. Your office or workplace could be next. And remember – Never send funds in any form based on a phone call. We want to help keep our patients and friends secure. If anyone knows what we can do to stop scams like this we would love to hear from you. 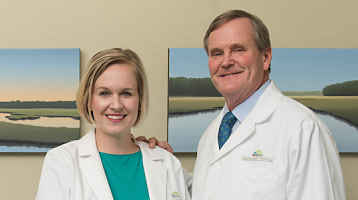 Call Cranford Dental at 803-324-7670 or contact us online. Oh, wow! Sounds scary. Will spread the word to my friends. Teachers and lawyers may be the next victims! Very informative post! I was so relieved to discover that it was just a scam. I was terrified. It makes me sad to know that some have probably fallen victim to this scam.